Gov. Mike Dunleavy campaigned on paying Alaskans back the amounts cut from Alaska Permanent Fund dividends the last three years. On Wednesday, he announced he wants to make those payments over three years. Alaskans who received dividends in 2016 — and who still live in the state — would receive the back payment this year for 2016. The dividend cut made in 2017 would be paid next year. And the cut made last year would be paid out in 2021, under the proposal Dunleavy laid out. The back payments would be $1,061 this year; $1,289 next year; and $1,328 in 2021. Paying out the money will cost roughly $2 billion. Paying it out over three years would allow some of the money to be invested for more time. And tying the back payments to the next three PFDs means that the people who receive the full back payment would have to have lived in the state from the beginning of 2015 through the end of 2020. 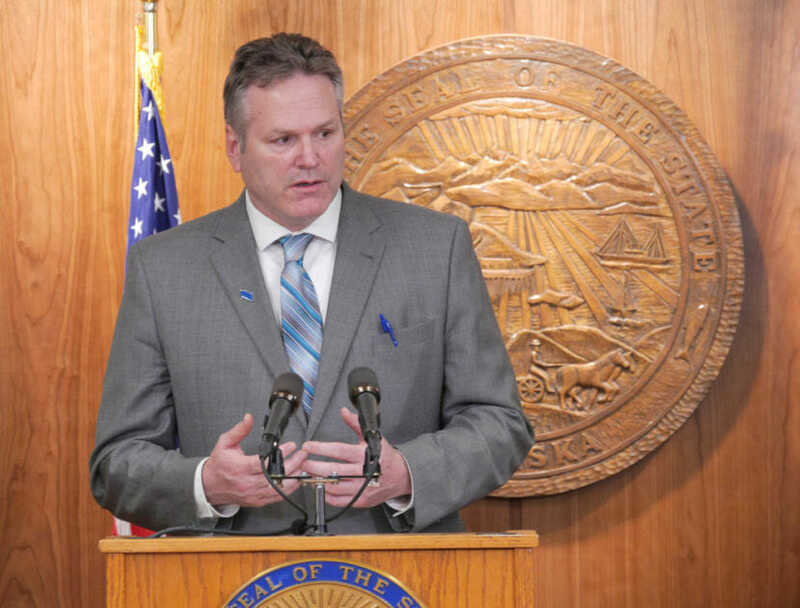 Dunleavy said he will support a bill in the future that would include permanent fund dividends in the state constitution. He wants Alaskans to vote on anything that would change dividends. “If the people of Alaska want to change the PFD program or the permanent fund, they should be part of that change,” he said. Any dividend back payment will have to be approved by the Legislature. One challenge will be the reduction to the permanent fund the back payments would cause. The total value of the fund has fallen more than $5 billion in the last six months, to $60.4 billion. When combined with the projected $3,000 PFD for this year, the back payments would take nearly a quarter of the fund’s $15.6 billion earnings reserve. Senate President Cathy Giessel, a Republican from Anchorage, said the Senate’s top priority is protecting the permanent fund and the dividend. Anchorage Democratic Sen. Bill Wielechowski said he’d prefer to pay out the back payments all at once. He said future lawmakers could reverse any plan for future payments. Senate Bills 23 and 24 lay out Dunleavy’s back payment plan. They have been referred to the Senate State Affairs and Finance Committees.